Phyllis Rogers, CPA, CGMA, has joined AFMC as its new chief financial officer (CFO), effective April 1. Ms. Rogers will also serve on AFMC’s management team. AFMC is a nonprofit health care quality improvement and education organization serving Arkansas’ health care community and health care consumers for more than 47 years. Ms. Rogers previously served as the CFO of Delta Dental of Arkansas for 17 years. She left there to serve as CFO for ForeverCare, a former provider for Arkansas’ PASSE program for behavioral health clients. Prior to her work at Delta Dental, she served as vice president and controller for Suntrust Credit of Little Rock. Ms. Rogers has wide-ranging experience in financial management and has an extensive record of leadership in strategic planning, organizational growth, critical thinking, board and staff succession planning, corporate risk management, institutional budget oversight, business analytics, portfolio management, process automation and improvement, personnel management and development. She has a bachelor’s degree in accounting from the University of Arkansas, Little Rock (1986) and gained her CPA in 1987. In 2017, Rogers was named Distinguished Alumni of the Year by the UA Little Rock College of Business. In 2013, she was honored by Arkansas Businessas CFO of the Year for Large Private Companies and by the Arkansas Society of CPAs as Outstanding CPA in Business and Industry. 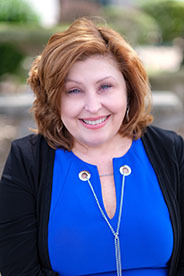 Ms. Rogers’ community interests include serving on the board of Ronald McDonald Charities of Arkansas where she is also treasurer, membership in the University of Arkansas Little Rock College of Business Advisory Council and a member of Rotary Club 99.